It was the fall of 1998 on a clear beautiful afternoon in New England. The car veered quickly to the left narrowly missing the guardrail on the highway. Although it was daylight, the resident could hardly keep her eyes open as she drove home following a 30+ hour shift in the MICU. She only had 3 hours of sleep the night before, had not had a day off in over a week, and was physically and mentally exhausted. She felt depressed and wondered if she would be able to exercise later that day or see her friends. Instead, she made it safely home, collapsed on the couch, and woke up the next day just in time to go back to work to care for the sickest patients in the hospital. Residency training has been compared to military boot camp where a group of unrelated individuals are thrown together in a high stress environment for a well-circumscribed period of time.3 Within this crucible, strong bonds are often forged; frequently residents spend more time with each other than with friends or family. Residents may thus be best positioned to recognize colleagues in emotional distress. Zabar and colleagues1 sought to train interns in Internal Medicine, General Surgery, and Orthopedic Surgery to identify struggling colleagues. Over the course of 4 years, the investigators assessed 145 residents using a standardized health professional (SHP) Objective Structured Clinical Experience (OSCE). Although the exercise was purportedly to receive sign-out from a SHP, interns were assessed on whether they detected, recognized, and managed problem behaviors concerning for a colleague in distress. The exercise was followed by a short debriefing and teaching session. The majority of participants (60%) checked on the SHP’s emotional state but only a third directed the colleague to seek help. If a participant screened the SHP for depression, they were three times more likely to refer the SHP to seek help. There were no significant differences in identification or referral by type of training program. Barriers to digging deeper are familiar to anyone accustomed to giving feedback: time and discomfort. Participants felt pressured to complete their assigned task of sign-out and were concerned about overstepping professional boundaries. The use of the OSCE format contributes to both the strengths and limitations of this study and while it provides hands-on experiences, it is a resource intensive intervention that is not readily accessible to all programs. In the second article, Broxterman and colleagues2 assessed a voluntary intervention to introduce residents to freely available, confidential, counseling services from their employee assistant program (EAP). Interested residents were scheduled for a 1-hour-long appointment by their program coordinator during the work day in lieu of ambulatory time. Most residents (79%, 41/52) agreed to participate. A pre-intervention survey found that many residents (73%) had not used counseling or support services prior to their EAP visit and almost half (46%) were not aware of how to schedule an EAP consultation on their own. All aspects of the scheduled visit were viewed as favorable by the residents including (1) appreciating not having to schedule the appointment themselves (96%), (2) feeling the intervention was valuable (82%), and (3) being likely to seek future counseling if needed (79%). This brief intervention has the potential to provide many benefits that may positively influence resident well-being. First, the burden, and potential barrier, of scheduling the appointment was taken out of the trainee’s hands and placed on the program. Second, sessions occurred during work hours which may have increased the likelihood of attendance. Finally, and most importantly, residents became aware of free confidential mental health services through an active learning process. While the intervention was mainly positive, it was done at a single training program with a small number of residents and their survey response rates after the intervention were low (68%). In addition, no long-term outcomes were presented. Applying this intervention may be difficult for other residency programs, as it might place an undue burden on program support staff and/or their employer’s EAP. 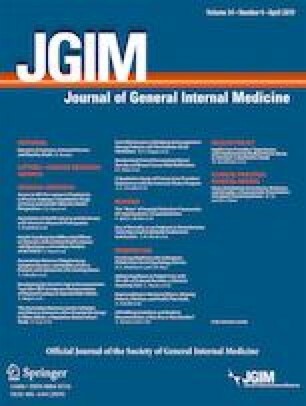 In July 2017, the ACGME mandated that all training programs offer “policies and programs that encourage optimal resident and faculty member well-being.”4 Before this directive, residency training programs had self-initiated strategies in attempts to alleviate stress, decrease burnout, and improve resident well-being. Interventions have included stress management and reduction training,5 Balint training,6 protected time to sleep,7 self-care workshops,8 resident support groups,9 and incentivized exercise programs,10 to name a few. Informal coffee and bagels and ice cream socials have also been employed. But can bagels and yoga alone really improve well-being? Eckelberry-Hunt and colleagues explored factors that could increase resident wellness and decrease burnout.11 They found two prominent areas detrimental to wellness: a lack of a supportive environment and not enough time to take care of oneself. They also discovered two factors that might mitigate burnout and improve resident well-being: talking about one’s feelings and participating in professional counseling. Broxterman and colleagues addressed all of these well-being factors in their EAP counseling intervention.2 The OSCE by Zabar and colleagues1 addressed some of these factors by empowering trainees to recognize and address a struggling colleague through a peer-to-peer interaction. We have spent much time so far in this epidemic of physician burnout on steps 3 and 4. While we must continue our efforts to eliminate burnout, we must devote equal amounts of time to steps 1 and 2. In addition to improving the clinical learning environment and teaching residents how to manage stress, we must also teach them how to recognize and respond to a colleague who is suffering. During their careers, each of our trainees will undoubtedly encounter a colleague like the standardized health professional in Zabar’s study. We must equip residents with words and phrases they can use to help their colleagues. While we have robust and often onerous requirements to preempt serious problems such as breaches to patient privacy, we have little to preempt breaches to physician wellbeing. Perhaps, as Broxterman’s study suggests, it is time for program directors to mandate self-care in the same way that we mandate training for corporate compliance, infection control, and duty hour logs. ACGME Common Program Requirements. https://www.acgme.org/Portals/0/PFAssets/ProgramRequirements/CPRs_2017-07-01.pdf. Accessed online January 29, 2019.